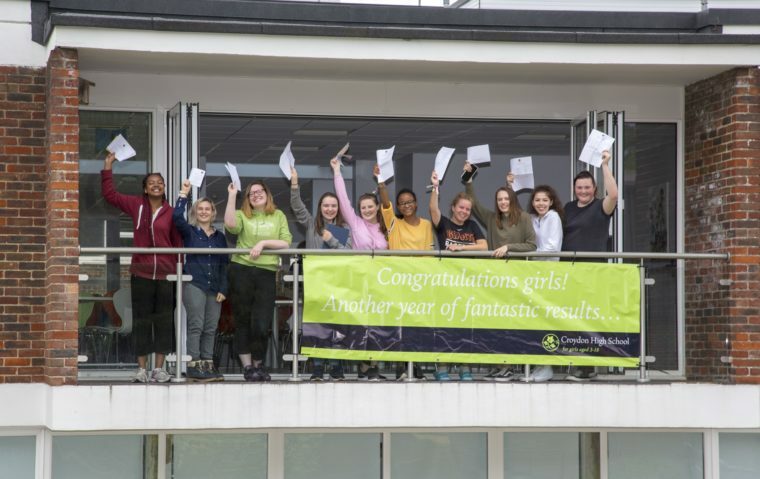 Croydon High School GDST is proud to announce that the Class of 2018 are celebrating excellent A level results, with its usual 100% pass rate at A level and almost a third of all grades awarded being A*- A. 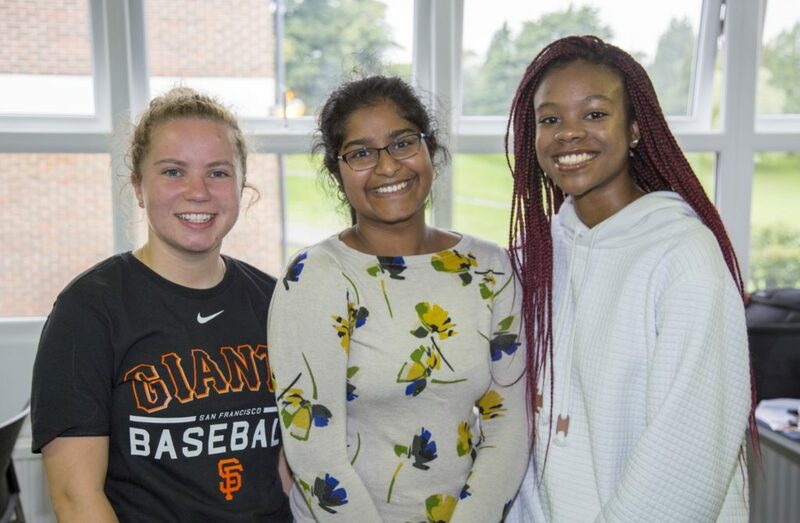 87% of all the grades awarded were A*- C. Amongst the widespread discussion around this year’s more challenging A level examinations, we are delighted that Croydon High’s results have held firm. 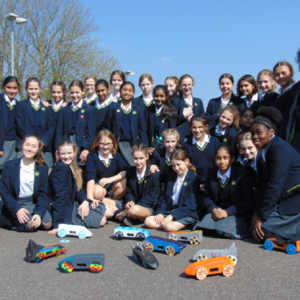 Diversity of interest and ambition is always celebrated at Croydon High and the school is very proud of the way it seeks to recognise and nurture every girl’s individual talents and unique aspirations. The Extended Project Qualification (EPQ) is an excellent example of the way girls furrow their own academic path. This award, representing an additional half an A level, and taken by the majority of girls at Croydon High, is valued by prestigious universities who believe it effectively showcases research and presentations skills as well as helping to nurture greater breadth of study and a lifelong love of learning. 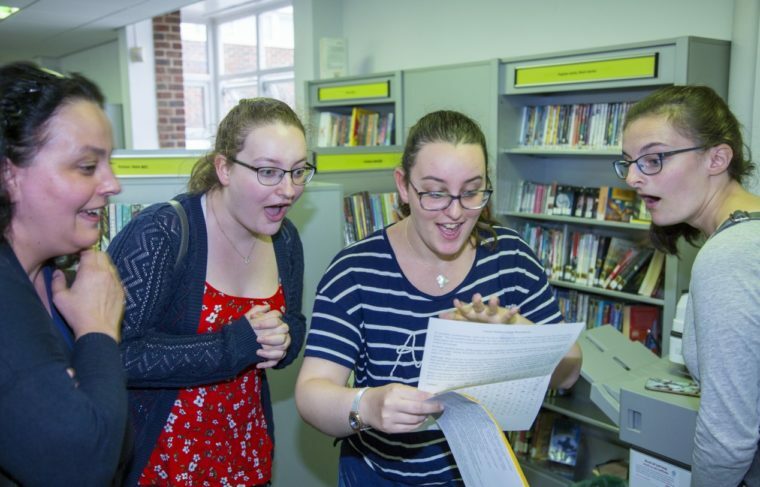 An impressive 88% of the cohort was awarded A*-A grades and the subject matter is equally impressive. Students tackled subjects ranging from Is the legalisation of euthanasia the way to keep the NHS alive to In which format is the book ‘The Bunker Diary’ best adapted? 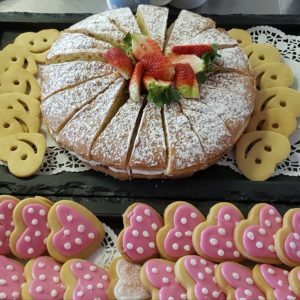 This last topic was awarded an A grade and was chosen by Emma James who also gained A* grades in Drama and English Language and Literature, with an A in History and a B in German. This secures Emma’s place at The University of Warwick to read History. 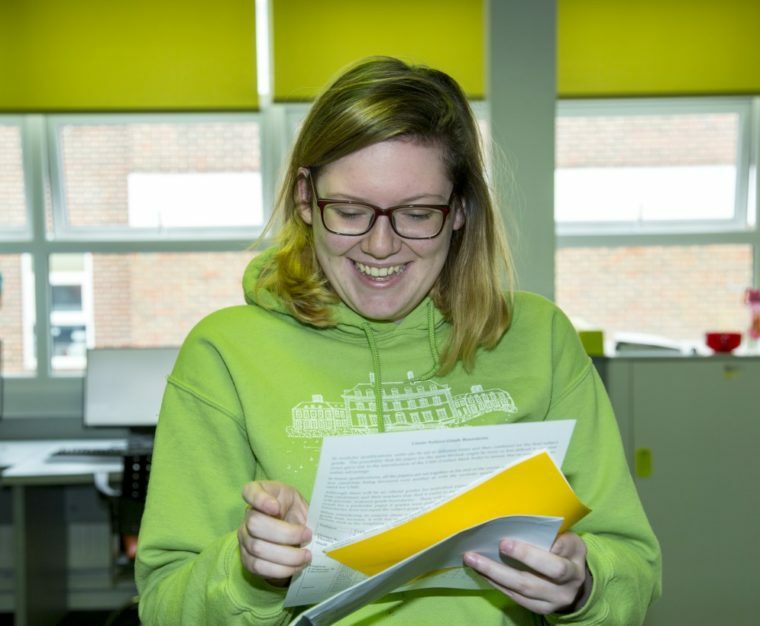 Emma is a wonderful example of a girl who has embraced all Croydon High has offered her and taken every opportunity to excel in her many and varied interests. 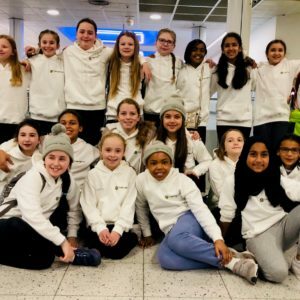 She joined the school in Nursery and over the last 15 years has grown in to a talented actress, most recently performing with the school’s Ivy Players at the Edinburgh Fringe this year. A gifted musician, she also plays the ‘cello in the school orchestra and is soon to sit her Grade 8 examination having already attained this in piano. Emma sings in the Chamber Choir and was an inspirational Senior Prefect. As well as being a dedicated Sergeant in the Air Cadets and an impressive forward at Warlingham Rugby Club, Emma currently holds the GDST record for shotput. One could imagine that all these extra-curricular activities might have made it difficult for Emma to concentrate on her four A levels plus an EPQ. 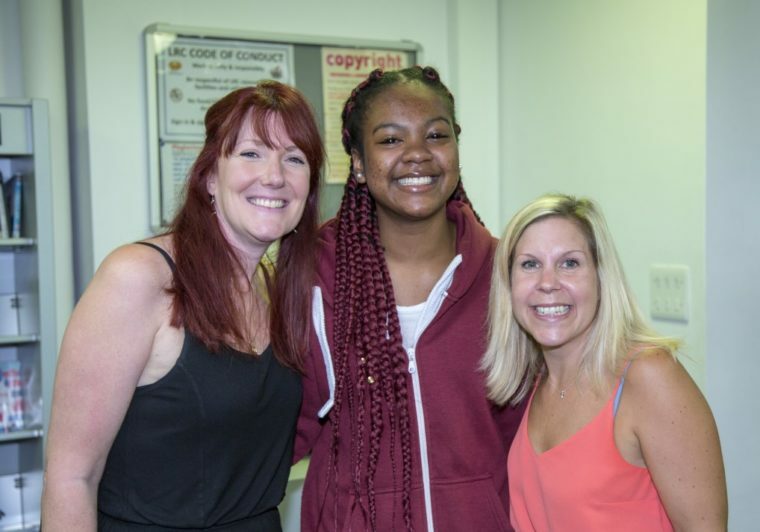 Her fantastic results demonstrate that with careful organisation and exceptionally hard work anything is possible! We wish her the very best at The University of Warwick. Engineering with straight A grades in Maths, Biology and Chemistry. 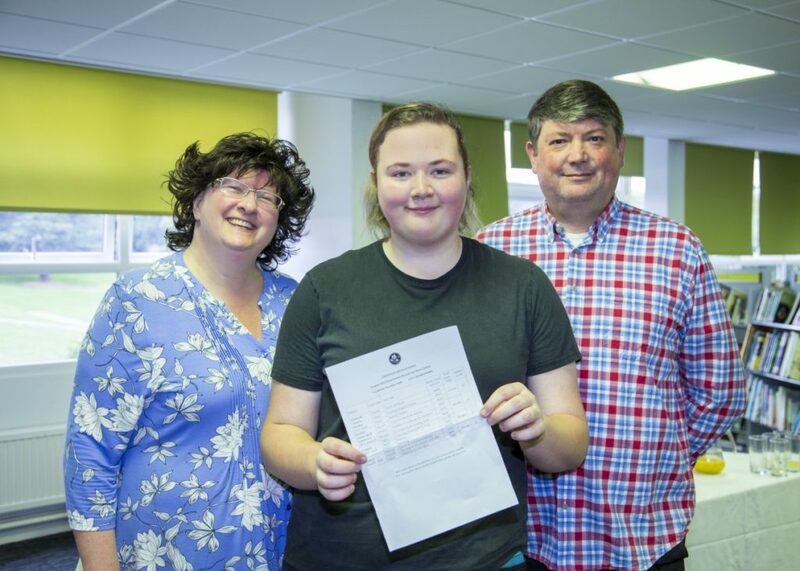 Sharna is on her way to The University of Surrey to read Modern Foreign Languages after achieving ABC grades in Spanish, French and Biology. Deputy Head girl Erin Rochester is a dedicated and talented sports woman (amongst other sporting achievements she played scrum half for Beccehamians U18s Rugby Team who won the Kent Cup this year). 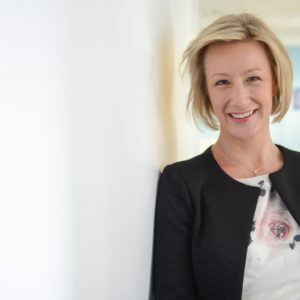 Erin will no doubt enjoy the fantastic facilities on offer to her at The University of Loughborough. Her A*AB grades in Geography, Economics and Maths confirm her place to read Economics with Geography. Samantha Martin and delighted mum! Samantha Martin has an exciting future in store, too. Sam’s straight A grades in Computer Science, Drama and English Language and Literature would have set her up for a place at many of the most highly respected universities in the country. However, Sam has a passion for gaming and whilst many of her contemporaries might have allowed this hobby to interfere with their studies, Sam has used it incredibly positively. At the age of 18, she has set up her own company called Sleepless Studios and she now heads to Amsterdam to take a degree in Game Design. Her future, doing something she really loves, looks very bright indeed! HSBC Scholars Madalina Stremtan and Maya Devincenzi Dil joined Croydon High for the Sixth Form and have certainly made their mark over the last two years. Madalina was recently awarded the GDST’s prestigious Lorna Cocking Scholarship in recognition of her academic potential. This has certainly been realised at Croydon High, with her A* A and B grades in Maths, Chemistry and Physics securing her place at Bath to read Physics. 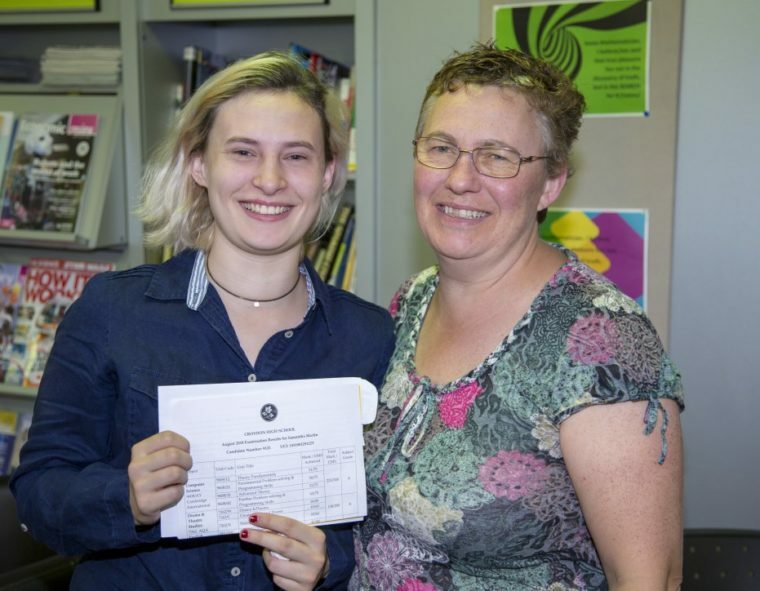 Maya’s interests and talents are rooted in the arts and her ABC grades in History, English Literature and Spanish will allow her to develop these fully as she heads to Amsterdam to read History of Art. Morayo Adeagbo is a girl we will never forget here at Croydon High. Her outstanding dramatic talent and stunning artistic flair have often been showcased at the school and she is also a gifted musician. Morayo lights up any stage she finds herself on and we know her ambition to enter the acting profession will be realised with great success, particularly given her A*AB grades in Art, Drama and English Literature. We are also very proud of Charlotte Clapperton who achieved fantastic A level results of ABB and an A in her EPQ and who leaves us to read Operatic Studies at The Royal Academy of Music. It is so rare that a school leaver is invited onto this highly-competitive course; Charlotte’s wonderful talent delighted the school community throughout her time with us and it was no surprise that she won the prestigious GDST Young Vocalist of 2018 competition. We wish her all the best in what we know will be a very bright future. Farewell to the Class of 2018; they are an unforgettable year group who deserve every continued success and happiness in the years ahead.